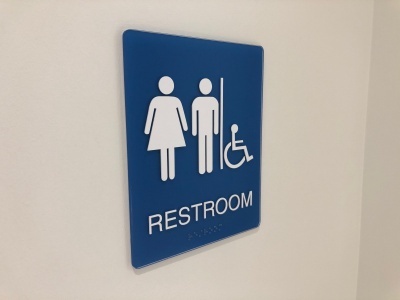 Businesses that are looking to remain in compliance with United States regulations will need to take a closer look at ADA room signs. These signs are mandatory for all businesses. While every business should always remain in compliance with the Americans with Disabilities Act, these signs can also serve as an accurate reflection of your brand. A sign may be standard but a mandatory ADA room sign comes with a number of options that allow companies to express their individuality. Non gloss finishes and matte finishes are available. If a font is used for an ADA room sign, it will have to meet the necessary standards. 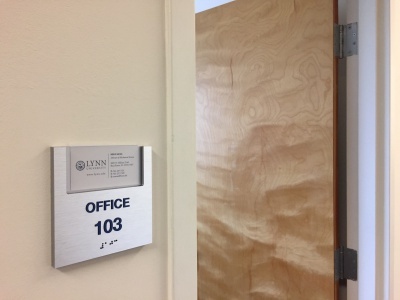 There are a number of areas that can benefit from the usage of ADA room signs and reflect strongly upon your company. For example, ADA restroom signs are required in all buildings. In order to remain in compliance, a business must allow for a detailed site survey and take a closer look at measurement and positioning. Some signs may be mandatory but that does not mean that a company has to compromise their own unique aesthetic. Visually appealing ADA room signs are available to all businesses in the Boca Raton region. There is no reason for a mandatory sign to be an eyesore. Think of these signs as an opportunity to showcase your true colors to the rest of the world! 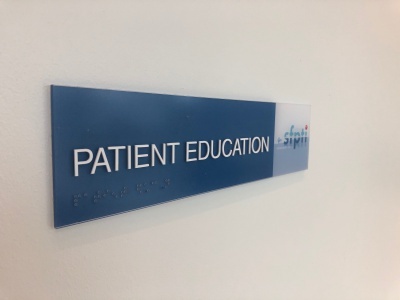 When it comes time to locate the perfect mix between compliance and style, ADA room signs that have been designed with the needs and wants of the customer already in mind are important. Helping customers who do not have the ability to see the signs on their own is great. Choosing signs that are visually stimulating and align with the aesthetic values of the business is not always easy. Having access to the lettering and color schemes that reflect your business is key. There are also a wide range of materials available when it comes to ADA room signage. Sign experts will help a business to choose the materials and colors that are best for their needs. These signs can be stationed in several different areas. Corridors, stairways and office doors are just a few of the areas that need to be addressed. Whether you are looking to incorporate the company's logo, slogan or design motif, there are no shortage of ADA room signs that can fit the bill. The exterior of the building also needs the correct signage. To find out more about how we can assist you in finding the best ADA room signs that align with your company's branding, be sure to contact the good folks at Sign Partners as soon as possible. Send us a e-mail at info@sign-partners.com or give us a call at 561.270.6919.